I completed my LLB Law degree at the University of Liverpool in 2017 and then achieved a LLM Masters Degree and a Distinction in the Legal Practice Course both in 2018. I commenced my Training Contract with Astle Paterson in September 2018 and I am thoroughly enjoying gaining valuable practical experience. My interests outside of work include Rowing and Scuba Diving. I am also an avid Derby County follower. 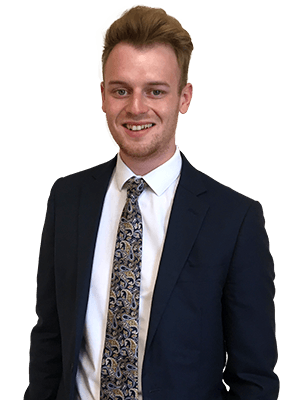 If Tom Newton is a specialist in the service you require, please feel free to get in touch and explain your requirements. Our staff are more than happy to help!